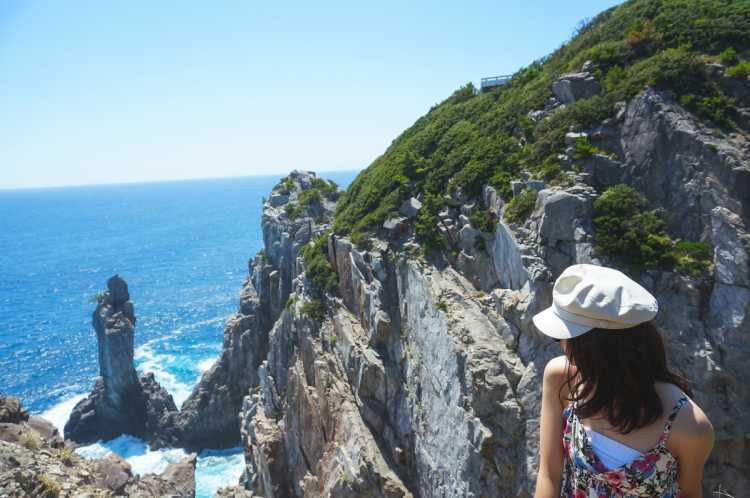 Best travel guide for Kashiwajima Island located at the westernmost of Kochi Prefecture. The sea has become the talk because of the transparency and beautiful emerald color. 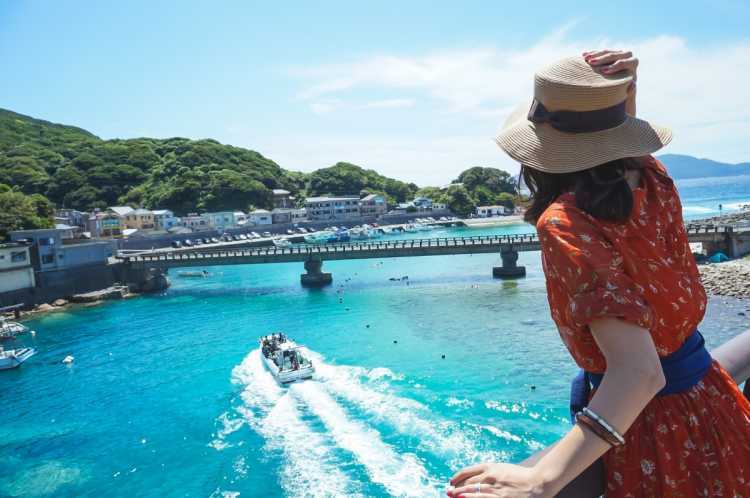 Then, we selected best things to do in Kashiwajima and its neighborhood from 'special places to travel in Japan' that were posted in City's Pride by travelers who have actually been to the island. Near Kashiwa-jima, there's a stone most similar to Kan'non Image (the Goddess of mercy) in Japan. About 30 meters tall Kan'non Stone like putting her hands flat together. I was surprised at the strong scene of the standing cliff on the Pacific Ocean.◎Access: just before Kashiwa-jima Island, there's a parking lot along the prefectural road43. You can see it after climbing up the steps about 2min. Kashiwa-jima has got into the topic of SNS and the media very much since this year. These two bridges are the first place where you should take pictures. The sea is so beautiful and clear that the seafloor can be seen. I can't say nothing but I wanted to know earlier!◎When boat and SUP come is good photo opportunity! But, be careful about the cars passing these bridges. 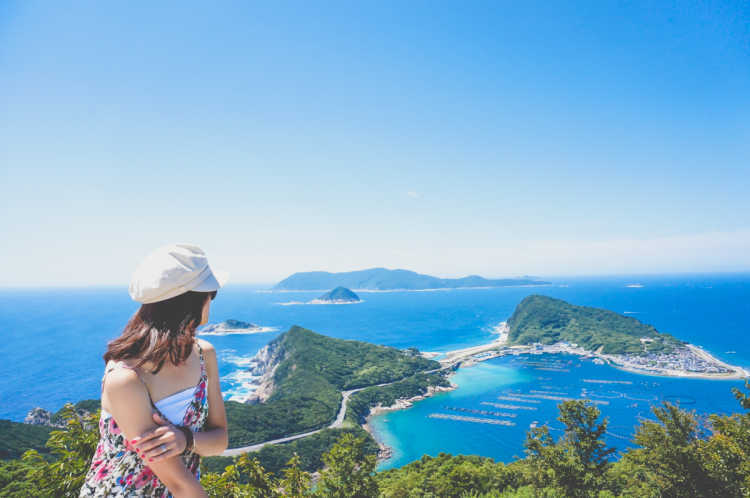 The westernmost place of Kochi Prefecture, located at Otsuki-cho, Hata-gun, Kashiwa-jima Island is a small island whose circumference is 4km. 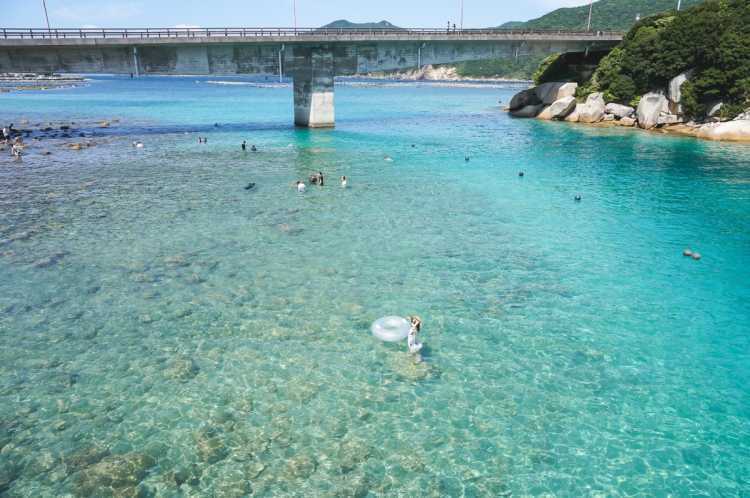 It has very clear sea water like Okinawa, and many kinds of fish. It's popular as a place for sea bathing and diving. You can go there by car for it's connected by bridges though it's an island. But, it takes about 3 years from Kochi City (Kochi IC → Shimantocho Chu'ou IC → Route56[Nakamura] → Route321[Ashizuri] → Route43[Kashiwa-jima]). From Kagawa Prefecture, it takes about 5 hours (from Takamatsu Chu'ou IC). And you can use trains and buses, but it takes much time. There're a few places to eat, so you would better to eat at 'Road Station Otsuki' or convenience store. A Japanese restaurant 'Uogokoro' near the beach is so crowded that you may be not able to eat here. The recommendable accommodations around Kashiwa-jima is in the following.